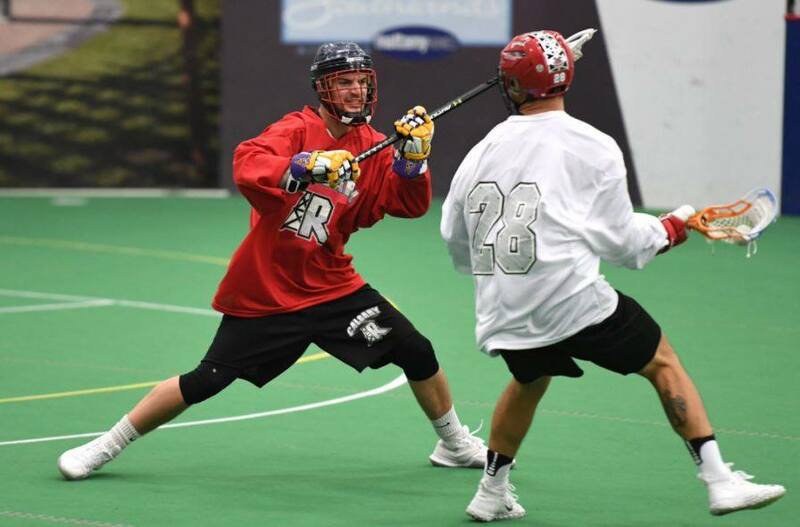 In this years NLL draft Steph Charbonneau was selected by the Calgary Roughnecks marking his name in Quebec Lacrosse history. I’m sure there might of been some Quebecers drafted back in the day so I am not going to say Steph is the first. What I will say is Steph Charbonneau is the first West Islander to accomplish this feet. Steph is from the western suburbs of Montreal deemed ‘The West Island’ which is where I lived a good chuck of my life. Lacrosse is just under two decades young in the West Island which is fairly new but this is only a testament to the athletes coming out of the West Island in the future. So if you think I’m going to go on some West Island blah blah now you are wrong. I might of met Steph when he was in the West Island but if I did it was very brief because of the decade between us. The reason I will never forget his name is because of the LASNAI 2016 at the Field House in Onondaga. I was blessed to play with a barrage of beauties from Nova Scotia and we were coached by the Hall of Famer Lindsay Sanderson. Lindsay actually coached the Montreal Express back in the day with his brother Terry so we kicked it off. Soon after that he asked me if I knew a Steph Charbonneau. My mind went blank, sure the name was familiar but I didn’t have much else, there I was in front of Lindsay Sanderson with a dumbass look on my face. He laugh and very jokingly said “There are only 2 good players in Quebec and you don’t even know one of them? !” Obviously he was exaggerating and joking, but ya, will never forget the name Steph Charbonneau again. When did you start playing lacrosse? What was your first impression of the sport? I started playing when I was 9 years old. My brothers started playing before me, so I followed in their tracks. I loved the speed and physicality of the game. My dad has always been my biggest inspiration. He’s the one who taught me to always put in 100% and to work hard from the first whistle to the last one. What were some of your fondest memories playing in the West Island and Montreal? Playing on the same WILA (West Island Lacrosse Association) team as one of my brothers in my first year of lacrosse was awesome. As for Montreal, I always enjoyed travelling to Ontario for tournaments. Having the weekend with my teammates and not worrying about anything but lacrosse. What were some of the toughest? Because Ontario is a lacrosse powerhouse and Quebec lacrosse was so underdeveloped at the time, it was hard to compete with most teams we played against. They were just on another level, so we didn’t win often, but we still always had fun. How did the opportunity of playing Jr. A come about? In my 2nd year of Junior lacrosse, I was playing for the Akwesasne Jr B Indians. We had a playoff series against the Halton Hills Bulldogs and the GM of the Lakeshores at the time was at one of the games. In a blowout game, I stood out to him because I kept playing like it was 0-0, so they brought me to Barrie to try out. Was it a difficult decision to leave? How was your first summer playing Jr. A? It was difficult to leave my family and friends, but I knew it was for a purpose and it had to be done. I never second-guessed my decision because lacrosse is my passion and I was being given the chance to play at the highest level available to me. It was a phenomenal summer and I am extremely lucky to have played for Barrie. Everybody in the organisation welcomed me into the family and it made the transition very easy. When you look back now, what were the top moments in Barrie? What were the biggest obstacles? Top moments for me were the road trips to away games, being on the bus with the guys. A large part of team sports is the camaraderie that comes with it and getting to know your teammates. I’ll never forget the friendships I made in the 3 years I played in Barrie. You ended up playing for the Coquitlam Adanacs, what spurred that? Going into my 5th and final year of Junior, everyone in the Lakeshores family thought we had a real chance at making playoffs and getting past the first round. When the season didn’t play out that way, coaches and management wanted to give me and the other 5th-years (Nick Chaykowski and Liam Patten) a better opportunity to be showcased to NLL teams prior to the draft. The way to do this was to send us to teams that could end up in the Minto Cup. 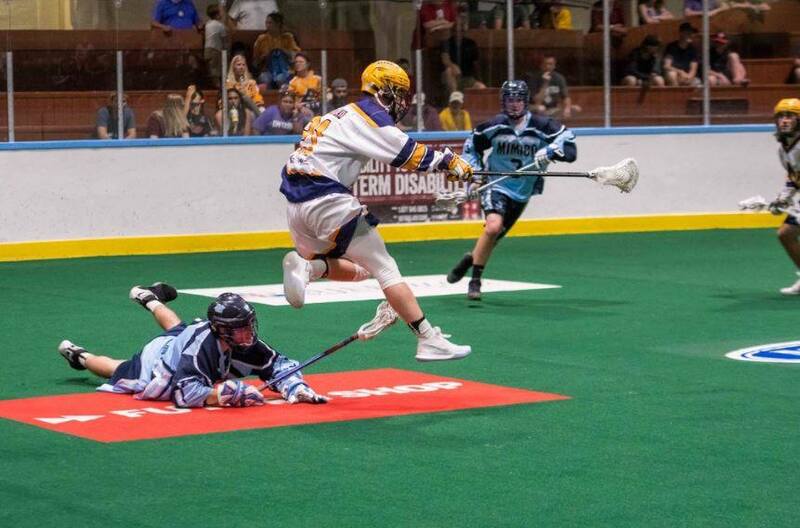 Playing in one of the hot beds of BC and becoming a family member of the Adanacs, how was this experience and what were some challenges? This experience was surreal. The entire summer revolved around lacrosse. In a small area where all the players live close to each other, every day was spent with teammates. It was obviously difficult to leave the Lakeshores and all the relationships I’d made there, but the Adanacs made the transition very easy for me. Playing with the same guys for 3 years, you build relationships and learn each other’s style of play, and I had to start from scratch. Because players are always together even on days without lacrosse, it was easy to adapt and become part of the team. I spent time during and after practice going over what I needed to with players or coaches and was able to settle in quickly. Playing in the Minto Cup will always be a highlight for me. Not everyone gets to experience that, and I will never forget it. The quality of lacrosse was a whole new level and I had never played in front of that many people before. The environment in the building during every game made it that much more fun. When did you realize you might get drafted? What was going through your head? The president of the Lakeshores and my mentor, Mike Kloepfer, has been working with me since I became a Lakeshore. He always said that if I stayed on the right path, I would be rewarded for it. It was always in the back of my mind, but it became real at the start of my 5th year of Junior. It all happened very fast and before I knew it, Junior was over, and I was focused on training camp. What were some of the biggest eye openers at training camp? The talent of the players. I obviously knew the calibre would be a step up. It really hit me that you can’t lose focus or slow down for a second or the ball will be in your net. During a scrimmage on the first day of camp, I was defending Curtis Dickson. He made his way up past the restraining line, so I backed off a bit as I would have in Junior. As soon as I did, he took one step, turned, and fired the ball into the net. This was the first big lesson from camp. From what you have taken in so far, what are some of the more valuable lessons you have learned? Have you given any thought to where you will be playing senior this year? I haven’t yet. For now, I’m staying focused on the NLL season and being ready to suit up if I am needed. 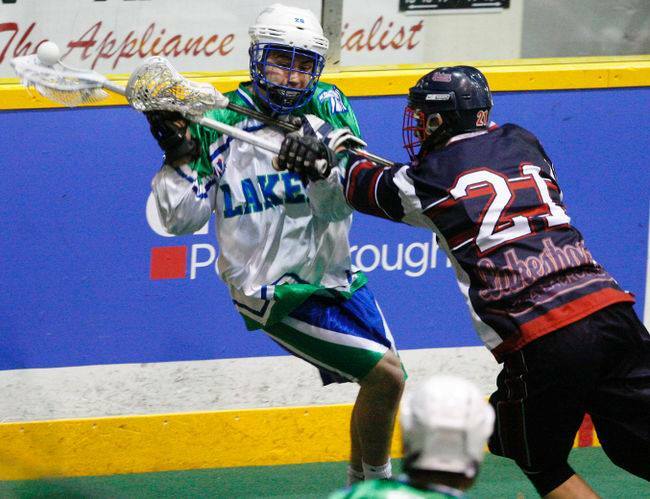 Once the Senior draft happens and the NLL season is ending, I will think about summer ball. Have some advice to the youngins out there? Talent isn’t everything. Sure, it helps, but it isn’t everything. I’ve reached this point by working hard, being committed, and having the right attitude. Stick to the process and put in the time away from the floor by playing wall ball and going to the gym. It’s cliché, but hard work pays off. I’d like the personally thank Steph Charbonneau for taking the time to work with me on this. Even though our conversations were brief, his passion for lacrosse showed.